American Motors was formed in 1954 when Nash merged with Hudson. The two domestic indies saw the handwriting on the wall as the Big Three (GM, Ford and Chrysler) became increasingly dominant. 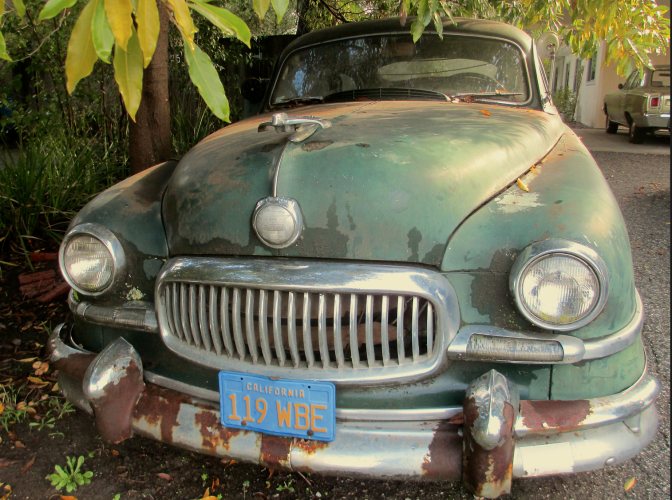 Studebaker, likewise, threw its lot in with Packard. Things didn’t work out so well in the latter case but the Hudson and Nash merger resulted in a relatively strong contender whose compact Rambler challenged the Big Three — especially in the early ’60s, when Rambler was the #3 best selling U.S. nameplate, exceeded only by Chevrolet and Ford. 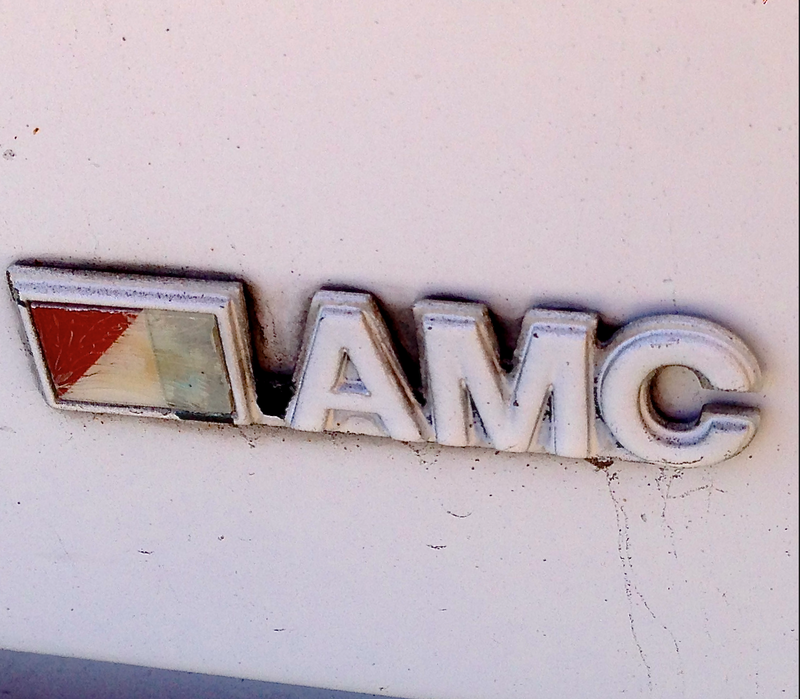 AMC walked away from the Rambler brand in 1970, but the move to badge their passenger cars as AMC was already underway by then. They fielded Javelin, a Mustang/Camaro “pony car” competitor in ’68 as well as AMX, a smaller 2-seater that was in some way a Corvette alternative. The one you see here was discovered by Feral Cars Field Scout Lynda Keeler. 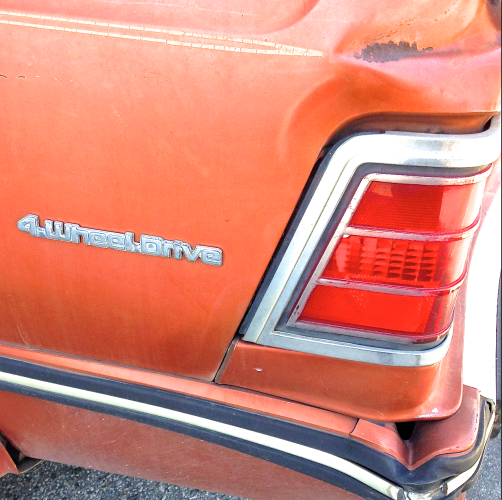 We’re not crazy about the fact that the bumpers have been painted body color, but otherwise it’s mostly untouched. 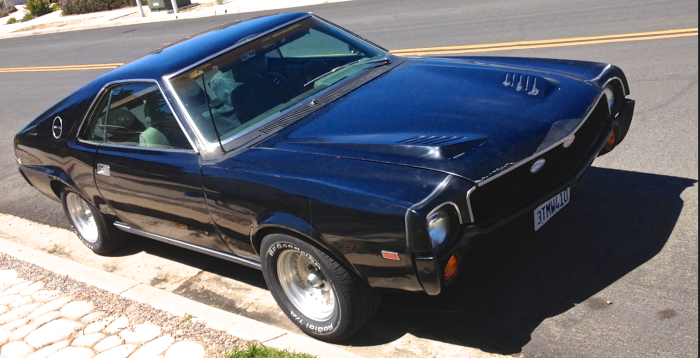 This one is powered by a 390 cubic inch V8. Potent stuff. 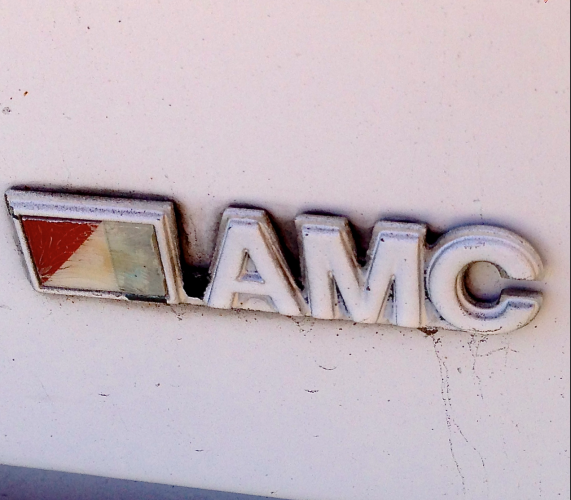 As the years dragged on, AMC found itself in a somewhat desperate situation with not enough capital to develop new products to compete with the Big Three, let alone the onslaught of Japanese and European imports. AMC acquired Jeep from Kaiser, which had earlier inherited it from Willys. Jeep was a valued asset, and was one of the compelling reasons why France’s Renault bought into AMC in the late ’70s, and ultimately owned a controlling interest. 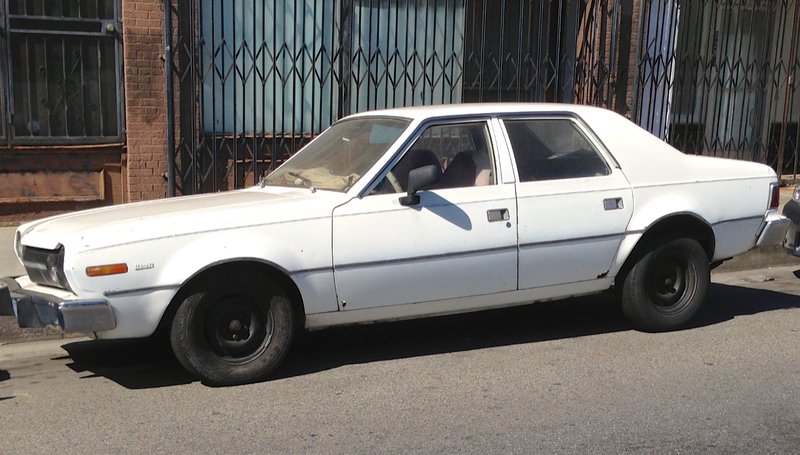 One of the unique products produced under the French regime was the Eagle, more or less a “lifted” AMC Hornet equipped with four-wheel drive borrowed from the Jeep division. It wasn’t a massive sales success but development costs were minimal so it actually generated a profit. 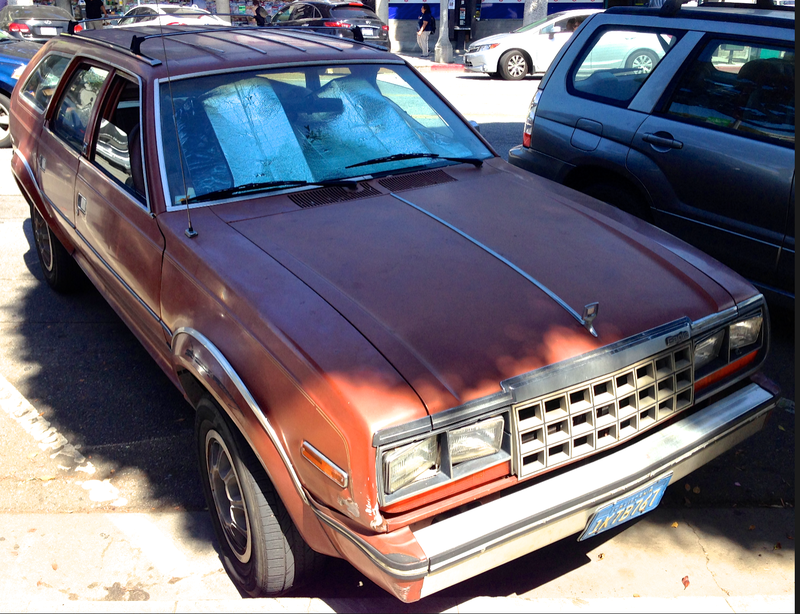 The other day we found this ’82 wagon — they were offered as sedans and coupes, too — and its chatty driver informed us that she was only the second owner and seemed to be quite proud of having beaten the hell out of it over the course of the past 25 years. 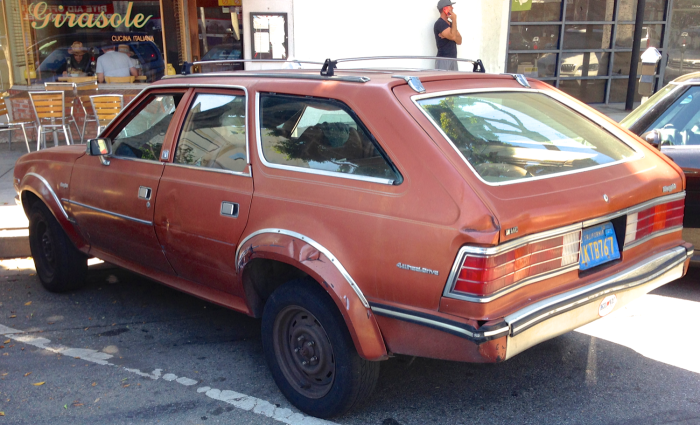 Eagle was, in fact, the last car to carry the AMC brand during the time Renault built its ill-fated Alliance at AMC’s Kenosha, WI factory. There’s an analogy to be made here to those Japanese soldiers on remote islands who didn’t surrender until the war had been over for decades. 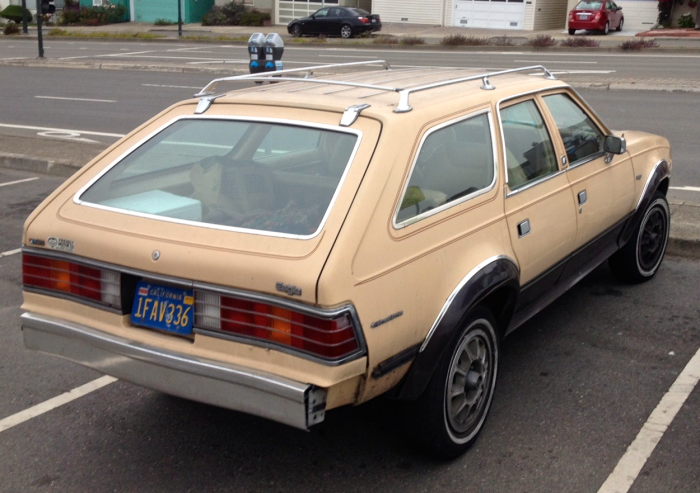 Feral Cars Field Scout Andrew Keeler (it’s a family thing) encountered another Eagle wagon. This one is painted a sandy hue that AMC called Jamaica Beige. We think it looks like it could have been a great staff car during the Desert Storm “war to begin all wars” but was out of production by the time of that conflict. AMC was far ahead of the curve with the Eagle concept. Four-wheel drive vehicles had usually been truck-based or passenger cars modified by aftermarket outfits. Here, then, was a factory built four wheeler that wasn’t “trucky.” Like Subaru and Audi, Eagle was in the vanguard of the idea that a four-wheel drive car might have some appeal, especially to those who drive in snow belt states. After the demise of the Rambler American, Hornet became AMC’s bread-and-butter car. This chalky ’74 was one of the company’s standard bearers, along with the lamented Gremlin and Pacer during the dark days of the OPEC embargo. We kind of dig its formal look, especially the thick “sail panel” aft of the rear doors. Just for the heck of it, we offer some AMC predecessors here. This ’54 Nash, built the year the Hudson merger was consummated, was styled by the legendary Pinin Farina and wears a saucy continental kit that adds even more bulk to its already generously proportioned body. We like the mossy patina on this ’51 Nash Ambassador, the voluptuousness of which is truly breathtaking. It wouldn’t be an AMC story without reference to the Metropolitan. It was built in England by Austin and marketed as either the Nash Metropolitan or Hudson Metropolitan beginning in 1954. 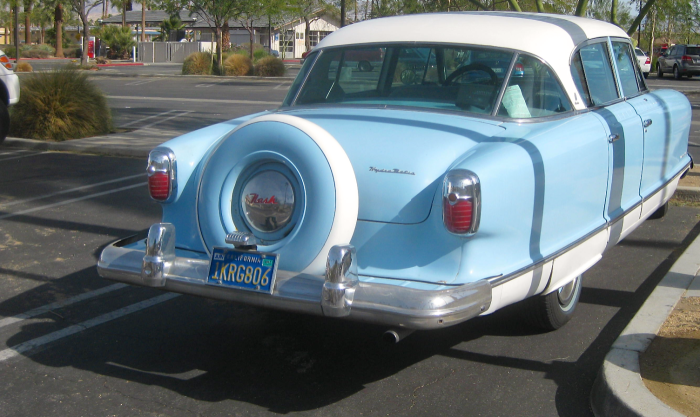 After those brands ceased to exist in 1957 it became a free-standing marque sold by Rambler dealers. Yeah, we think it’s pretty cute, too. Check out this introductory Eagle commercial. It has us convinced that four is better than two. Hey is that driver a young Jeff Daniels? Sure looks like he could be. Like that hot AMX? You can buy one now but get to it quickly. 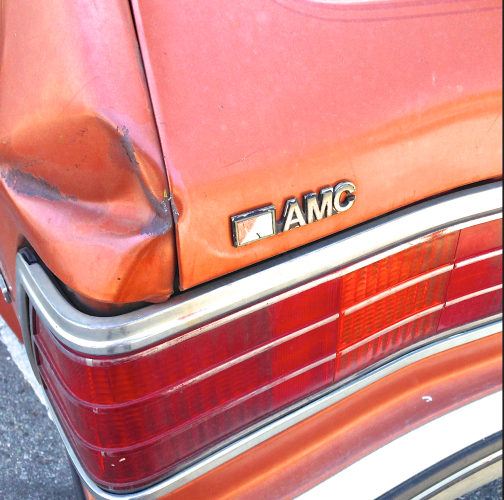 Collectors have discovered them and prices are on the way up, which leads us to conclude that AMC is still about value. 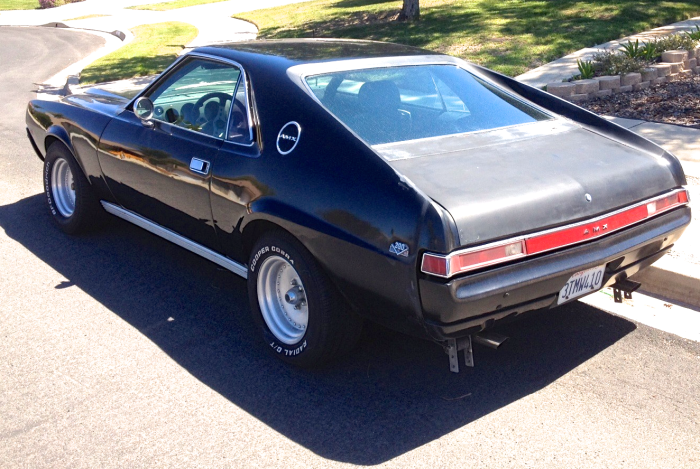 This entry was posted in AMC, AMX, Jeep, Metropolitan, Nash, Renault, Uncategorized on 10/02/2014 by feralcars.